The peripheral nerves running throughout the body perform essential functions for you. Sometimes, these nerves are compressed, injured, or otherwise damaged and cause pain and other unpleasant symptoms. Patients often report feeling burning and electrical pain, “pins and needles” sensations, and hypersensitivity (to the point that even wind blowing across the skin is quite painful). If you are having peripheral nerve pain in the calf region, the problem might be proximal tibial nerve dysfunction, otherwise known as soleal sling syndrome. In the event this is the problem you’re experiencing, we may be able to help. Proximal tibial nerve dysfunction is a form of peripheral neuropathy, one that occurs on account of damage to the tibial nerve. This nerve is one of the lower branches of the sciatic nerve that runs down the leg. It is responsible for enabling movement and supplying sensation to the calf and foot muscles. Current evidence indicates that the tibial nerve can be compressed in a site more proximal than the tarsal tunnel, and this site—just distal to the knee—is best described as the proximal tibial nerve. We use this particular label to help distinguish it from the tarsal tunnel region. As we’ve mentioned elsewhere, a primary cause of nerve pain in the tarsal tunnel(s) is compression—pressure on a nerve when it passes through a narrow anatomical structure. In the case of proximal tibial nerve dysfunction, the pressure on the nerve may come from a fibrous sling found at the origin of the soleus muscle, which is called the soleal sling. The tibial nerve can be damaged in other areas—like when pressure from a ligament found on the inner part of the ankle causes problems—but the proximal tibial nerve may also be affected or damaged by diseases affecting anatomical structures or the nervous system (such as what happens when diabetes is present). Damage to the nerve may destroy the myelin sheath, which is responsible for protecting and insulating the nerve, or the axon (part of the nerve cell). The damage can then either reduce or prevent the movement of impulses through the affected portion of the nerve. In some cases, no identifiable root cause for the pain can be found, but we make every effort possible to determine what has happened. Fortunately, there are many cases wherein a cause can be established. Treatment for proximal tibial nerve dysfunction is centered on restoring strength and normal feeling to the foot and toes. In part, this is important because severe loss of sensation can lead to sores (ulcers) in the lower limbs. In such cases, infections can become dangerous problems. Of course, it’s important to treat the condition to relieve any painful symptoms you are experiencing, as well. There are nonsurgical treatment options that might be able to address the problem, and these should be explored by your treating physician before you seek surgical intervention. 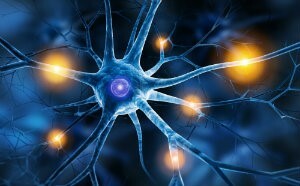 Peripheral nerve pain is not something to be ignored, or to hope will go away on its own. If you are suffering, you need to seek help. There could be medical options to improve the situation, including surgical techniques. If you have been unable to find help via conservative treatment, we may be able to provide a more effective option. Contact our Baltimore, MD today for a consultation by calling (410) 709-3868.